With The Bank of England raising the rate of interest last week (for only the second time in a decade) by a quarter of a percent from 0.5% to 0.75%, it is in effect the highest level that rates have been since early 2009. The rise has meant that the estimated 3.5 million people with variable or tracker mortgages will pay more on their monthly repayments. 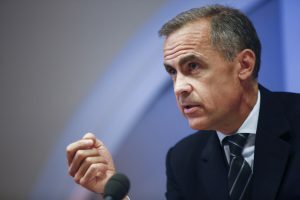 In addition, this is not the end of interest rates as the Bank of England Governor, Mark Carney stated that there would be further “gradual” and “limited” rate rises to come in future. Some business groups questioned the decision to raise the rate now ahead of the UK agreeing a Brexit deal with the European Union. The Bank’s Monetary Policy Committee had originally been expected to raise interest rates in May, but refrained when the economy slumped for a time at the beginning of the year. Homeowners with a variable rate or tracker mortgage will now almost certainly start to face an increase in their monthly (and overall) payments and with the guidance given by Mr Carney that there will be further interest rate rises they could see these rises in repayments increase even further. With many homeowners interviewed by the press over the weekend stating that all their ‘spare’ money now goes on their mortgage, we would strongly urge people to start reviewing their current mortgage deal. If you are worried about the next interest rate rise, then contact an expert adviser at One 77 today and secure a better deal with a 2 hour recommendation. Call us on 01249 474952 or fill out the form below and we will be in touch.